President Donald Trump’s tariffs on Chinese imports went into effect at midnight. A 25% duty will apply to $US34 billion worth of Chinese goods, ranging from aircraft to chicken incubators. The move is the latest salvo in Trump’s attacks in his trade war with China. President Donald Trump’s tariffs on Chinese products officially kicked off Friday, escalating the growing trade war between the US and China. The office of the US Trade Representative directed Customs and Border Protection to begin collecting duties on Chinese imports at midnight. The 25% tariff will apply to 818 Chinese goods, ranging from aircraft and chicken incubators to industrial magnets. China exported $US34 billion worth of newly tariff-eligible goods to the US last year. 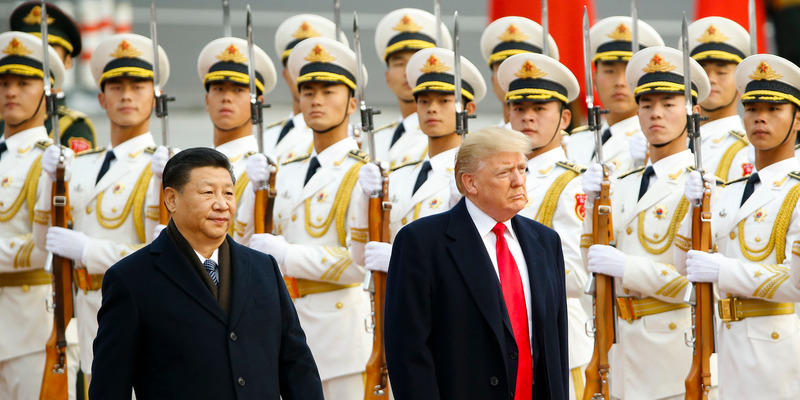 The moves are the culmination of months of threats and attempts at deescalation, and they likely represent the start of an economically painful trade war. The tariffs on Chinese goods come out of an investigation by the Trump administration into the theft of US companies’ intellectual property. The USTR launched the investigation in August 2017 and determined IP theft was a major economic problem for the US. In March, Trump decided to move forward with tariffs on $US50 billion worth of Chinese exports to the US to punish China for the alleged theft and push the government to change its practices. Those tariffs, including the set that took effect on Friday, are aimed mostly at industrial goods and technology. The Trump administration stated that the tariffs are designed to hit industries identified by the Chinese government’s Made in China 2025 initiative, which aims to build up certain high growth sectors. China responded by threatening tariffs on $US50 billion worth of US exports to China, mostly aimed at agricultural goods. These tariffs are also designed to fall heavily on areas in the country that supported Trump in the 2016 election. 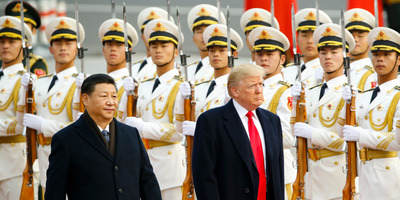 The initial threats in March set off furious negotiations between the Trump administration and Chinese officials, which eventually resulted in a tentative trade agreement. The deal would have suspended the tariffs in exchange for a commitment by the Chinese to reduce the trade imbalance between the two countries. But Trump was subsequently critical of the deal, and trade experts blasted its vague terms. The White House then moved forward with the tariffs, which caused the Chinese to pull out of the deal. As of now, the US and China remain far apart on any agreement to deescalate the trade tensions. In addition to the first tranche of tariffs that went into effect Friday and the second coming in weeks, Trump has continued to threaten more action against China unless the country shrinks its trade imbalance with the US. Trump said that should China not make fundamental changes to its economy and cut down on IP theft, the US would hit another $US200 billion worth of Chinese imports with a 10% tariff. And if China were to respond in kind to that set of tariffs, a further $US200 billion worth of Chinese imports would face the same fate. During a conversation with press aboard Air Force One on Thursday, Trump reiterated that most tariffs were on the horizon if China did not shift its policies. If Trump followed through on the threats, nearly all of China’s exports to the US would be subject to tariffs. Trump has threatened other measures designed to limit China’s ability to access the US. For instance, Trump announced that the US would expand the use of the Committee on Foreign Investment in the United States, which could limit Chinese investment in US companies. China, for its part, has not backed down. The Chinese Ministry of Commerce called Trump’s tariff threats “blackmail” and promised that China would not back down from a trade fight. “The US is firing shots to the world, including to itself,” spokesman Gao Feng said Thursday during a press conference. In addition to souring relations between the US and China, the new tariffs could also result in hurting the American economy. Economists are generally wary of tariffs, since they drive up costs for businesses and consumers. The increased costs lead to fewer purchases and generally create a drag on economic growth. While the first round of tariffs will only slow the US economy marginally, the pain would increase if Trump continues on the protectionist path, said Gregory Daco, the chief US economist at Oxford Economics. “While each measure on its own has small macroeconomic effects, the combination of the measures, the supply chain disruptions and the increased business uncertainty could spell trouble for the US economy,” Daco said. Trump’s tariffs are particularly problematic due to their focus on intermediary goods, or “parts.” While this means that consumer goods won’t get an immediate price increase, it also incentivizes companies to move production out of the US or cut costs in other areas such as the number of workers they employ.